Rikus de Beer of Radio Raps fame visited Breakfast with Martin Bester on Tuesday morning and didn’t leave without giving the team some useful tips. Being a radio presenter is not easy, especially when you are the host of one of the biggest shows in the country. Martin Bester has been at the top of his game for years now, but there is always room to grow. Radio Raps observed Martin for two hours and has the most hilarious tips on how to be a star host. You are in luck when given free guidance! 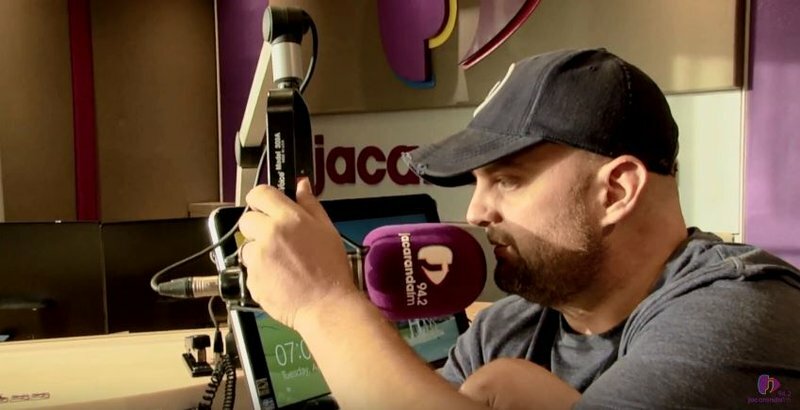 READ ALSO: Radio Raps’ Rikus de Beer asks: When do your parents fight? Everyone at some stage of their lives dreams of becoming a star. So why not watch Radio Raps give us advice out of the goodness of his heart on how to be the perfect radio host! Let Martin Bester know in the comments section below!